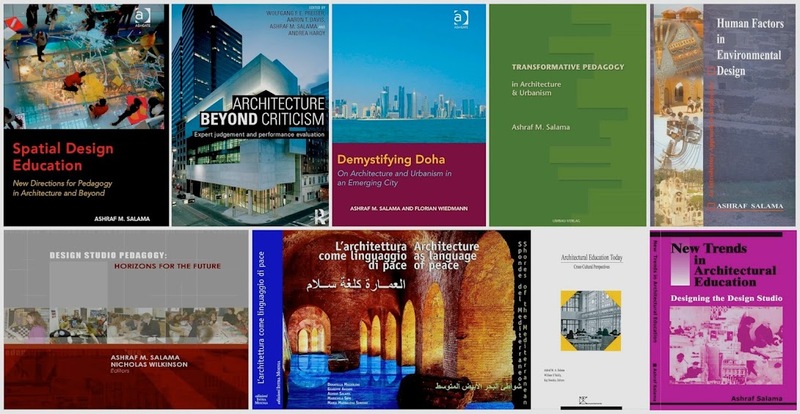 Professor Ashraf Salama has written a considerable number of editorials and book review articles in the refereed press and in architecture and design portals as well as guest editorials for several international journals. 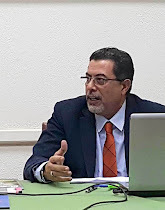 Salama, A. M. and Grierson, D. (2019). Urban Performance Between the Imagined, the Measured, and the Experienced. Open House International, Volume 44, Issue 1, PP. 04-07. ISSN # 0160-2601. Grierson, D. and Salama, A. M. (2016). Forging Advances in Sustainable Architecture and Urbanism. Open House International, Volume 41, Issue 4, PP. 04-05. ISSN # 0160-2601. Salama, A. M. and Grierson, D. (2016). An Expedition into Architecture and Urbanism of the Global South. Open House International, Volume 41, Issue 2, PP. 04-05. ISSN # 0160-2601. Agapiou, A. and Salama, A. M. (2016) Shaping the Future of Architectural Education in Scotland. Charrette, Volume 3, Number 1, Spring 2016, PP. 1-5. ISSN # 2054 6718. Salama, A. M. and Wiedmann, F. (2013). Editorial: Evolving Urbanism of Cities on the Arabian Peninsula. Open House International, Volume 38, Issue 4, PP.04-05. ISSN # 0160-2601. Salama, A. M. and Thierstein, A. (2012). Editorial: Rethinking Urban Diversity: Paradoxes and Realities. Open House International, Volume 37, Issue 2, PP.01-03. ISSN # 0160-2601. Salama, A. M. (2011). Editorial: Anti-Vitruvian Architects and Contemporary Society. Architects for Peace, September, Melbourne, Australia. Salama, A.M. and Sengupta, U. (2011). Editorial: Changing Paradigms in Affordable Housing, Quality, and Lifestyle Theories. Open House International, Volume 36, Issue 3, PP.04-06. ISSN # 0160-2601. Salama, A. M. (2011). Reflections on a New Post Graduate Program at the Education City, Doha, Qatar. Lonaard Magazine, a peer-reviewed periodical, publication of Lonaard Group in London, Issue 4, Volume 1,July 2011, PP. 130-137. ISSN: 2045 -8150. Salama, A. M. (2011). Editorial: The Quest for Architectural Excellence in non-Western Societies: Reflections on the Aga Khan Award for Architecture in its 11th Cycle. Architects for Peace, January, Melbourne, Australia. Salama, A. M. (2010). Editorial: Reflections on Schools and Schooling: Bringing Appreciative Inquiry into Ethical Design Practices. Architects for Peace, June, Melbourne, Australia. Salama, A. M. and Crosbie, M.J. (2010). Design Education: Explorations and Prospects for a Better Built Environment. Archnet-IJAR-International Journal of Architectural Research, Volume 4, Issues 2-3, PP. 10-18. ISSN # 1938 7806. Salama, A. M. (2009). Editorial: A Bright Future for Creating Environments Conducive to Learning, Open House International, Volume 34, Issue 1, PP.5-8. ISSN # 0160-2601. Abdel Hadi, A. and Salama, A. M. (2009). Editorial: Transdisciplinarity, People-Environment, and Design Research. Archnet-IJAR-International Journal of Architectural Research, Volume 3, Issue 1, PP. 8-13. ISSN # 1938 7806. Salama, A. M. (2008). Editorial: Multiple Voices in Architecture and Urbanism. Archnet-IJAR-International Journal of Architectural Research, Volume 2, Issue 2, PP. 7-10. ISSN # 1994-6961. Salama, A. M. (2008). Editorial: The Aga Khan Award for Architecture: Unveiling the Jewels of the Built Environment in the Developing World. Architects for Peace, Melbourne, Australia. Salama, A. M. (2008). Editorial: Excellence in Architectural and Urban Research. Archnet-IJAR-International Journal of Architectural Research, Volume 2, Issue 1, PP. 7-15. ISSN # 1938 7806. Salama, A. M. (2008). Editorial: What’s War/Peace – Construction/Destruction Got to Do with Architecture? Architects for Peace, Melbourne, Australia. Salama, A. M. (2007). Editorial: Whatever the Name is, the Concern is for People and Environments. Open House International, Volume 32, Issue 4, PP. 4-8. ISSN # 0168-2601. Salama, A. M. (2007). Editorial: Moving Forward. Archnet-IJAR-International Journal of Architectural Research, Volume 1, Issue 3, PP. 14-18. ISSN # 1938 7806. Salama, A. M. (2007). Editorial: The Debate on Architecture and Urbanism Continues. Archnet-IJAR-International Journal of Architectural Research, Volume 1, Issue 2, PP. 11-14. ISSN # 1938 7806. Salama, A. M. (2007). Editorial: Archnet-IJAR is Setting the Stage for Online Publishing in Architecture. Archnet-IJAR-International Journal of Architectural Research, Volume 1, Issue 1, PP. 9-12. ISSN # 1938 7806. Salama, A. M. (2006). Editorial: Committed Educators are Reshaping Studio Pedagogy. Open House International. 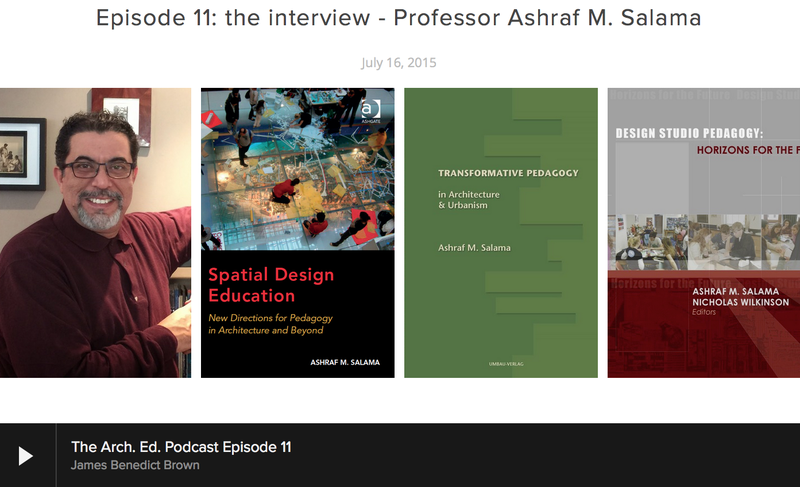 Volume 31, Issue 3, Special Issue on Design Studio Teaching Practices, PP. 4-9. ISSN # 0160-2601. Salama, A. M. (2012). Emerging Perceptions of Research by Design: Towards a Responsive Practice, Review of “Design Innovation for the Built Environment: Research by Design and the Renovation of Practice,” by Michael U. Hensel (ed.). FORMakademisk, Volume 5, Issue 1. PP.1-4 ISSN # 1890-9515. Salama, A. M. (2012). A Sustained Quest for Democracy in Design and Planning Decision Making: Review of “Democratic Design: Participation Case Studies in Urban and Small Town Environments by Henry Sanoff," in ArchNet-IJAR: International Journal of Architectural Research, Volume 6, issue 2, PP. 132-134. ISSN # 1994-6961. Salama, A. M. (2011). Functionalism and the Contemporary Architectural Discourse: A Review of 'Functionalism Revisited' by Jon Lang and Walter Moleski. 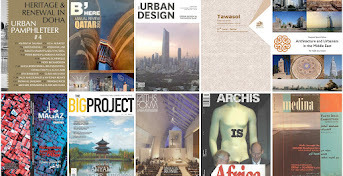 Archnet-IJAR-International Journal for Architectural Research, Volume 5, Issue 2, PP. 127-131. ISSN # 1994-6961. Salama, A. M. (2009). Shaping Architectural Discourse by Architecture Students at Queen’s University Belfast. Archnet-IJAR-International Journal for Architectural Research, Volume 3, Issue 2, PP. 130-173. ISSN # 1994-6961. Salama, A. M. (2008). A Call for Translation:After Amnesia: Learning from the Islamic Mediterranean Urban Fabric by Attilio Pettruccioli. Archnet-IJAR-International Journal for Architectural Research, Volume 2, Issue 2, PP. 234-235. ISSN # 1994-6961. Salama, A. M. (2008). Selected Scandinavian Contributions to Contemporary Architectural Discourse. Archnet-IJAR-International Journal of Architectural Research, Volume 2, Issue 1, PP. 264-269. ISSN # 1994-6961. Salama, A. M. (2007). Responsive Environments for a Responsive Pedagogy. Review of “Designing for Designers: Lessons Learned from Schools of Architecture,” by Jack L. Nasar, Wolfgang F.E. Preiser, and Thomas Fisher (eds.). Archnet-IJAR- International Journal for Architectural Research, Volume 1, Issue 3, PP. 209-213. ISSN # 1994-6961. Salama, A. M. (2007). Book Review: Nikos A.Salingaros: A New Vitruvius for 21st Century Architecture and Urbanism. Archnet-IJAR-International Journal of Architectural Research, Volume 1, Issue 2, PP. 114-131. ISSN # 1994-6961.